After testing the Bose QC35 for my review five months ago, I was completely sold on them. They’re comfortable, look great and are the best at blocking out sound. Bose might not be an audiophiles’ choice, but the noise cancellation technology it uses for its QuietComfort series of products has never been beaten — until now. Sony’s MDR-1000X headphones were announced at this year’s IFA with much ado. 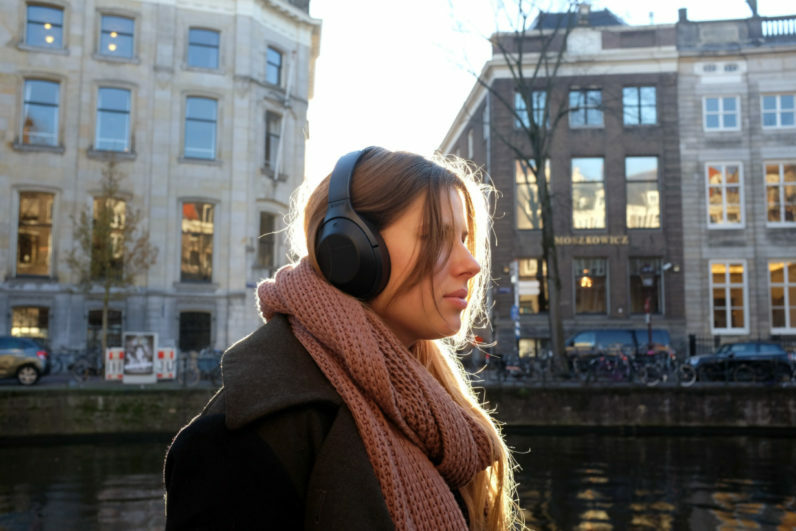 The company talked at length about its new SENSE engine, calling it a new industry-leading standard for noise cancellation and audio enhancement. Bose owners, including me, were instantly sceptical. A new entrant to the premium noise cancellation headphone game that was looking to improve on the best product on the market? It seemed like a herculean task. The MDR-1000X promises a lot, and it delivers on practically everything — it packs a bunch of advanced technology that gives the QC35 a run for its money. Its main feature is Sony’s newly developed SENSE engine, which should produce a better sound experience than other headphones on the market. And it works — the standard noise cancellation sounds great and blocks off a good deal of outside noise. But things get crazy when you use its Optimizer functionality. By holding a button on the side, a 20-second sound recording plays three different kinds of tones, which are recorded by microphones on the inside and outside of the device. By running this test, the Sense engine is able to define the characteristics of your head — how big it is, how you wear your hair and if you’re wearing glasses. All of these small things combined influence your listening experience, and Sony says the engine is able to personalize the sound based on the data it picks up. It works remarkably well — you instantly get transported to a bubble of silence unlike any other headphones do. Without any music playing, sounds are muted and seem very far away. When you put up a song, however, it becomes almost impossible to pick up on outside noise. At worst, the noise cancelling is just as good as Bose’s, but it often works even better. And that’s only the beginning. Putting them on for the first time made me realize something — I hadn’t been listening to music through great-sounding headphones in a long while. I have my personal Bose QC25 headphones as a daily driver, and coming from them the MDR-1000X feels like a warm bath. The 40mm drivers in the Sony make all music sound more exciting — I immediately started looking around Spotify for different genres to throw at it. The highs are more crips and the bass is just perfect — not too much, and not too little. With noise cancellation turned on, it’s easy to drift off into the tracks you’re listening to. It shocked me that they sounded so good, or rather, that Bose sounded so bad in comparison. When I put on the QC35 again, the highs and lows felt more subdued and everything was a lot less fun to listen to. They’re not bad headphones, but they pale in comparison to the MDR-1000X. In addition to the Sense engine, Sony gave their new flagship headphones some cool tricks that could’ve easily been gimmicks, but actually end up being fairly useful. The first is called ‘Quick Attention’, and activates when you hold a hand over the right earcup. The music and noise cancellation temporarily get turned down, and the device’s outside microphones put the sound around you through. It’s perfect for having a quick conversation or picking up on a gate change at the airport, without having to take them off. The same feature can also be permanently activated by pressing the ‘Ambient Sound’ button. You can pick between two settings: ‘Normal’ just puts through all ambient noise, while ‘Voice’ specifically turns up the sound of people’s voices around you. The latter is exceptionally cool, as it feels like temporarily having the best ears in the world. Thanks to the fancy right earcup it’s also easy to switch songs — swiping left or right skips songs, while swiping up or down changes the volume, which is a great feature to have on wireless headphones like these. All of these added tricks don’t impact the battery life — with a full charge, Sony says they last for 20 hours. In my testing, I found that to be a rather conservative estimate, often getting around 22 hours of juice. It’s hard not to be excited about headphones this great, but there’s one area Sony could definitely improve — design. Even in black, it’s a clunky beast — it’s nowhere near as unsightly as a Beats product, but it’s not great. Sony opted to cover the outside with protein leather and plastic, while Bose throws in some aluminium. In comparison, the QC35 look sharp and wouldn’t look out of place in business class, while the Sony has more of a casual design. At 9.7 oz, the MDR-1000x is a little bit heavier than the QC35, but it’s almost unnoticeable. It firmly clasps the head, without putting too much pressure on it, and the headband offers enough support to wear it for hours without any sign of fatigue. Bose is still the king of comfort, but Sony isn’t slacking either. An extra 3.5 mm cable is included for wherever Bluetooth isn’t an option, together with an airplane adapter for those long-haul flights. It all fits in the supplied carrying case, which is slightly bulky but does the job fine. It’s a nice extra, and durable enough to make the headphones perfectly travel-proof. Let me be clear — these are not cheap headphones. They currently retail for a cool $399, which places them firmly in the premium segment. But if you have that kind of money laying around and are looking for the best-sounding, best-noise cancelling headphones on the market, pull the trigger. You won’t regret it.